We provided Barry Callebaut Chocolate with three 30 ton jacketed and insulated chocolate mixing tanks that were designed and built to the clients working envelope. The image shows the careful measurements that were used for the ingressed doorway into the plant. 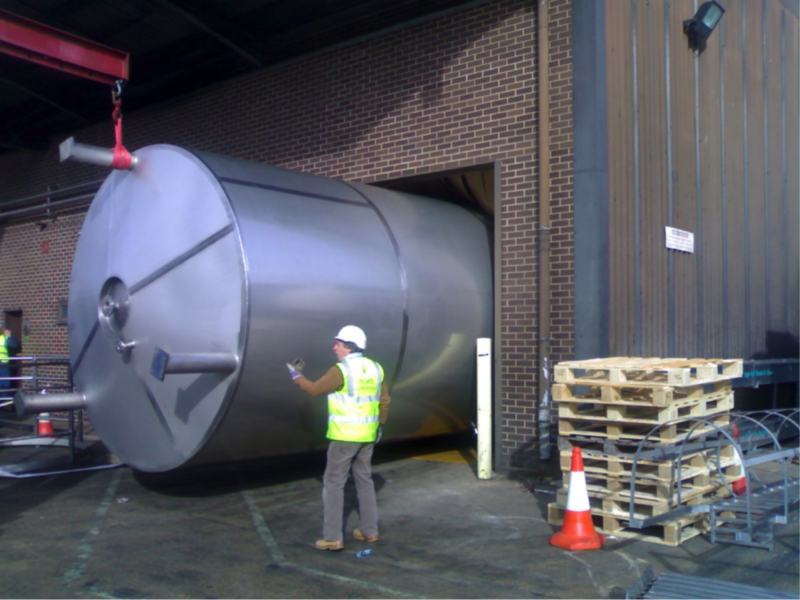 We worked alongside Speedrite International Ltd, who provided all the necessary lifting equipment to move the three tanks and the skills required to top and tail the tanks once inside the client’s factory.